Janet D. Owen is Vice President for Government Relations and Associate General Counsel for the University of Central Florida. 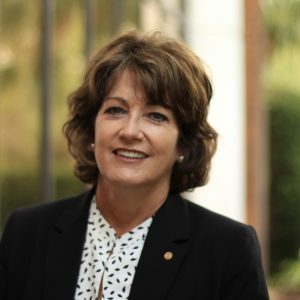 She serves as the university’s principle liaison with federal, state and local governmental offices, and legislative bodies. She is responsible for development and implementation of strategies and programs to attain public funding goals, and to foster mutually supportive, on-going relationships with elected officials, executive branch leaders and other education institutions. A Jacksonville native and graduate of the University of Florida, Janet received her law degree from Stetson University College of Law and spent nearly a decade in private practice before entering the field of higher education law and advocacy. She has been with UCF since June 2018.